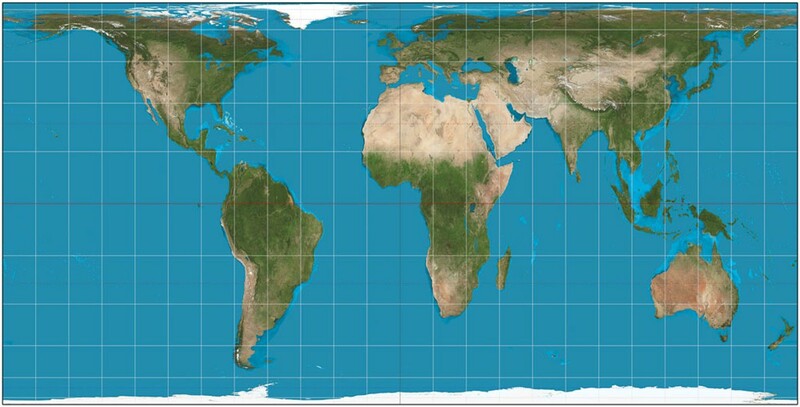 Image: Eric Gaba, Wikipedia Commons Buckminster Fuller's Dymaxion world map, which can be folded to make a regular 20-sided icosahedron (one of the five "Platonic solids"). Eric Gaba, Wikipedia Commons. Hobo-Dyer equal-area world map. 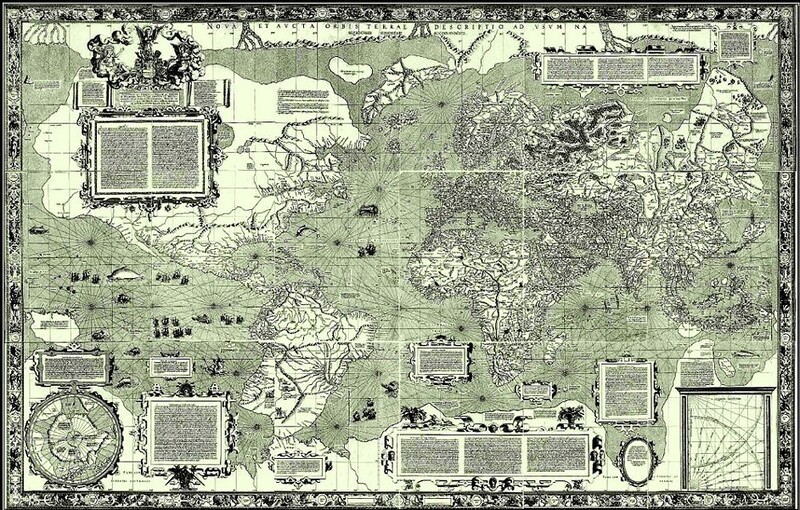 Eric Gaba, Wikipedia Commons The first world map to use what we now call the Mercator projection, "A New and Enlarged Description of the Earth with Corrections for Use in Navigation" by Gerard Mercator, 1569.